My favourite make up product is definitely lipstick. After years of hoarding and buying copious amounts of make up I have become a slightly more sensible nearly 25 year old and know what suits me and stick to firm favourites. With this been said, lipstick is the one thing that changes the most and takes me from day to night as my base make up pretty much stays the same all the time. When I want to look slightly different to normal I up the lipstick states and have been veering towards bright oranges and pinks. 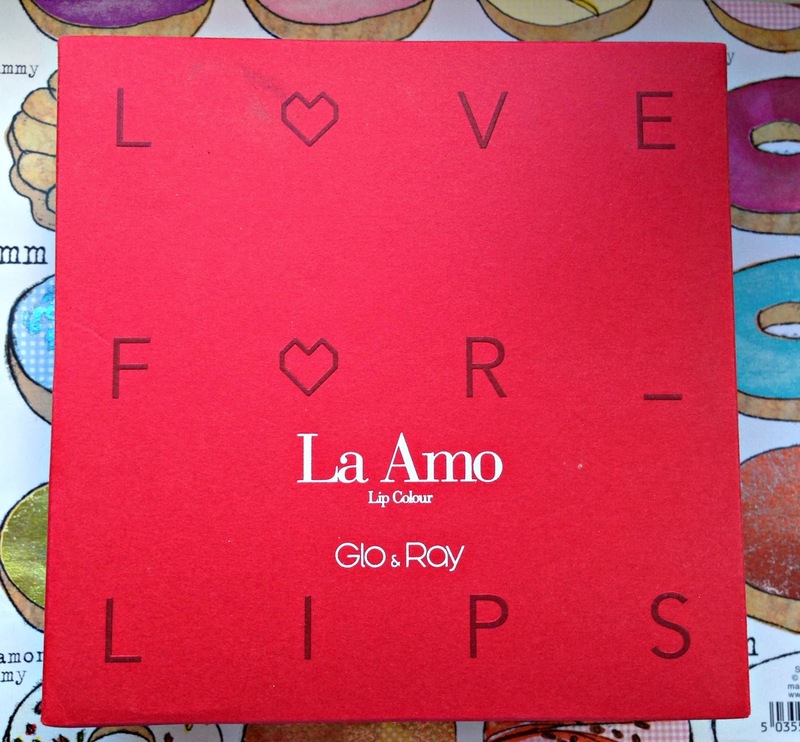 I received the Glo&Ray Cosmetics Love for Lips* gift set recently which contains three stunning lipsticks, Passion (fuchsia pink), Gerbera (Orange) and Forever (Deep red). 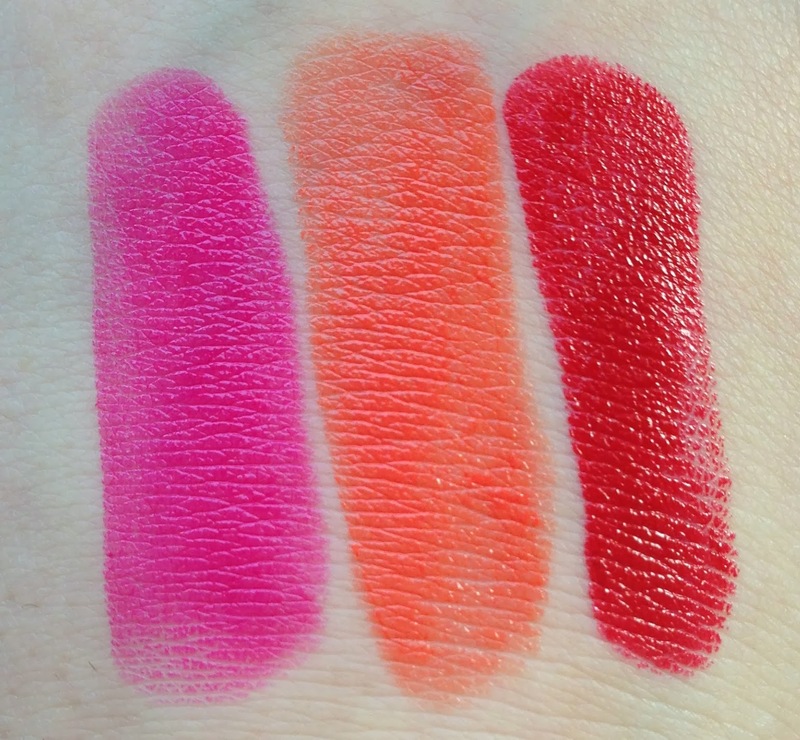 All three of the lipsticks feel exactly the same on the lips. They glide on with ease, the fuchsia and red are extremely pigmented with one swipe where as the orange needed a bit more building up to get an intense colour and is slightly lighter than it shows in the bullet. They feel glossy and are extremely long lasting, leaving a stain on the lips with longer wear. I very rarely wear red lipstick, I think it is absolutely stunning however I'm just not sure of how much it suits me and my colouring and I never know what other make up to pair with it, especially blush. I know for sure that I am going to get a extremely lot of wear from both the pink and orange lipstick in this set. I cant explain how amazing they feel on the lips. I'm in love! This set retails for £42 which works out at £14 each. I think it would make a wonderful gift, I know for one that I would be extremely happy if I received this set. 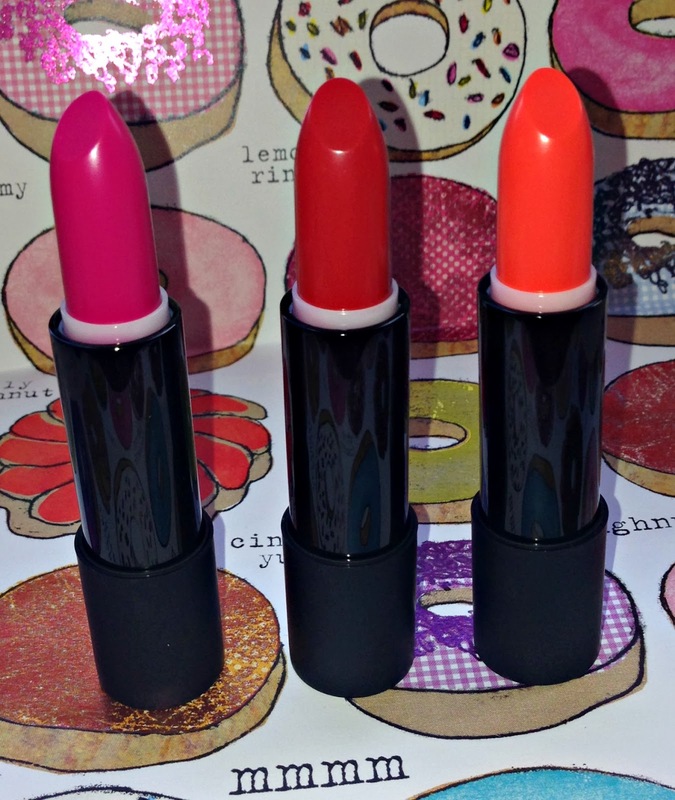 Lipsticks are also available individually for £12 however the red is only available in this set. You can buy the set on the Glo&Ray Website Here. Is this a brand you have heard of or used before? Oh wow the pigment really translates onto the lips! Stunning colours! I love Gerbera, it's gorgeous! They look really pigmented, but still glossy and hydrated which I love. So pretty and they look like great lipsticks! Especially love the red! Can't have too many reds ;) x S.
Shopping: In store or Online?